San Francisco and London, December 12, 2017 – Digital Shadows, the leader in digital risk management and threat intelligence, today announced several key appointments to its management team designed to scale the business in support of company growth following Series C funding earlier in the year. Digital Shadows has appointed Samantha Murphy to the new post of Vice President Client Success, tasked in leading the client satisfaction team that ensures clients across the globe gain the full value and benefits of the company’s SearchLight service. Sam has 20 years of experience building world class technical and client success centers to serve global enterprise client including with Sage, CMO Software, Trend Micro, and McAfee. Digital Shadows has also appointed its first Chief Information Security Officer (CISO) and Head of IT as the business continues to grow. 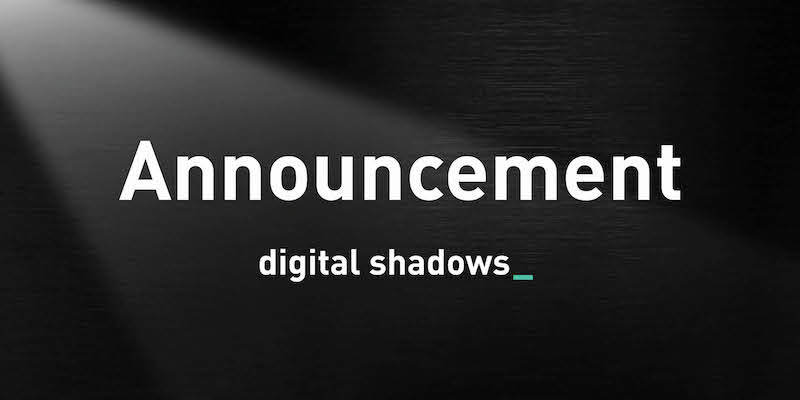 With immediate effect, Rick Holland will expand his current role as VP Strategy to become CISO responsible for Digital Shadows’ own security risk management, security improvement projects, compliance program and vendor assessment support function. He will continue to be responsible for Digital Shadows’ research and strategy programs. Also, Becky Pinkard, Digital Shadows’ Vice President, Intel and IT, will now also take responsibility for IT across the company. A further key appointment is that of Ian Cuthbertson to Director of Sales Engineering. Ian has more than 15 years’ experience in Cybersecurity, Threat Detection and Response, SIEM, Forensics and SOCs with RSA Security. Rick Holland has more than 14 years’ experience working in information security. 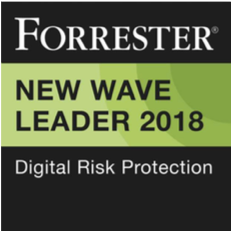 Prior to joining Digital Shadows, he was a vice president and principal analyst at Forrester Research, providing strategic guidance on security architecture, operations, and data privacy. Rick also served as an intelligence analyst in the U.S. Army. He is currently the co-chair of the SANS Cyber Threat Intelligence Summit, and holds a B.S. in business administration with an MIS concentration from the University of Texas at Dallas. Becky Pinkard is a renowned practitioner and commentator on the infosec sector, who has been working in information technology since 1996. A security transformation expert, Becky has built and managed global security teams, designed risk and compliance strategies, led security audits and assessments, and developed security awareness training in small and large environments. She was a SANS Certified Instructor for 15 years and has served as a GIAC Certified Intrusion Analyst advisory board member and on the Strategic Advisory Council for the Center for Internet Security. Becky is also a co-author of the Syngress books “Nmap in the Enterprise” and “Intrusion Prevention and Active Response, Deploying Network and Host IPS”. Sam Murphy has more than 20 years of experience building world class technical and client success centers to serve global enterprise clients. A senior executive who has worked with Sage, CMO Software, Trend Micro, and McAfee, Sam is skilled in setting up new teams and turning around underperforming teams, to establish mission-critical, multilingual 24×7 support centers and grown revenue, client satisfaction and profitability. Ian Cuthbertson has more than 15 years’ experience in Cyber, Threat Detection and Response, SIEM, Forensics and SOCs with RSA Security. Chiefly Ian has focused on cyber security for national defense, finance, central government and several other sectors. In addition, he has worked closely with channel partners and MSSP providers to propose and deliver solutions suitable to their needs. Prior to RSA, he managed a Pre-Sales team at Crossbeam and worked in a number of Pre-Sales and Consulting roles at Nokia, Trinity Security Services and IBM. To see the full management team, visit our team page here.